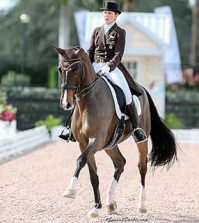 Wellington, FL – February 7, 2011 – Dressage is the oldest of equestrian disciplines and the basis for true harmony between rider and horse. The Greek philosopher Xenophon wrote the first recorded book on horsemanship in 350 BC. At that time and long after, horses were trained for warfare. 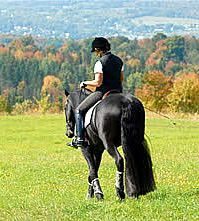 During the Renaissance the riding schools of Vienna and Saumur contributed a lot in sophisticating dressage. However only in the 20th century the public discovered the beauty of the ‘dancing horses’. The 1912 Olympic Games in Stockholm were the first to stage dressage on an Olympic level. 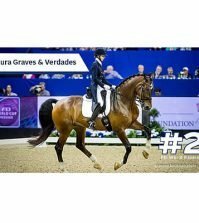 Dressage has never left the Olympic podium since and with the introduction of the Grand Prix Freestyle to Music in 1996 in Atlanta, dressage quickly gained popularity all over the world. Grand Prix Dressage, the highest expression of horse training, is considered to be the art of equestrian sport. 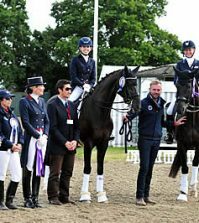 The World Dressage Masters is the world’s premier dressage circuit, offering unprecedented prize money of 425.000 Euro ($ 585.000) and the globe’s top dressage riders. All World Dressage Masters shows will be broadcasted on sports channel Eurosport connecting WDM to 150 million households in Europe. Partners of the World Dressage Masters are: Exquis, Moorland investments and Moorland stables, Nürnberger Versicherungen, Jerich International and Axel Johnson Group. For more information please visit: www.worlddressagemasters.com.